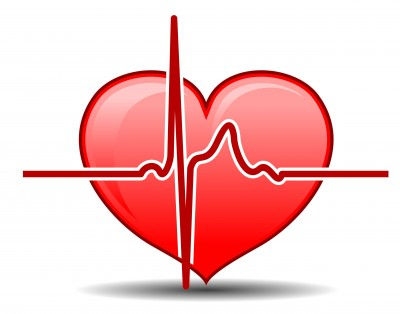 Heart Disease: The Silent Killer for Women by Nancy Weshkoff | Moonflower Yoga Inc.
February is Heart Health Month and the American Heart Association’s Go Red for Women Movement, with February 5th designated as Go Red for Women Day. I applaud the American Heart Association for their work in bringing to light this very important issue. – Did you know that heart disease is the NUMBER ONE killer of women in the United States? – Did you know that if you stacked up ALL cancer-related deaths for women together (breast, lung, ovarian, liver, skin cancer, etc), that all of these cancer-related deaths together would still be number two behind heart disease? – Did you know that 1 in 3 women in the United States will die every year from heart disease? And of this number, did you know that more than 1,800 of these women who die from heart disease will live here on Long Island in New York? – Did you know that you can help PREVENT becoming one of these very sad statistics by proactively taking steps to lower your risk? – Engage in moderate exercise on a regular basis. Sitting on a couch and not moving is bad for you in so many ways. Your body needs to move. Yoga is extremely helpful in helping you with your exercise goals. The postures in a yoga class will build strength and flexibility, and at the same time, the deep breathing techniques (pranayama) used in a yoga class increase the flow of blood to your heart and your organs. – Reduce your stress levels: We all face stress. How we deal with stress is key. Being in a “fight or flight” mode, which is how our body reacts when our stress levels are high, is putting a huge strain on your body functions – including your heart. Meditation is a wonderful tool to help you lower your blood pressure and stress levels. Yoga classes also help you reduce your stress. The yoga and meditation classes at Moonflower Yoga can get you on the path to accomplishing your stress-reduction goals. – Learn to be “in the present moment”. We often worry unnecessarily about things from our past that we cannot change or things in the future that MIGHT happen but haven’t happened yet and may never happen. In our classes and workshops at Moonflower Yoga, we teach you ways to be more in the present moment and let go of unnecessary worries bringing you more peace and calm. – Lower your blood pressure: Moving more, decreasing your stress levels, and using tools such as meditation and yoga mentioned above can all help you with this. How about learning something new? Spending some time reading a great book or engaging in a fun activity such as art or coloring are meditative and can help lower your stress levels. A few days ago, we enjoyed coloring mandalas in our Kundalini and art workshop. We also have a fun Moonflower Yoga Book Club that meets every 4-6 weeks and an upcoming art workshop entitled “Collage for the Soul” where no prior art experience is needed and you learn to meditate through art. Or try something completely different and learn to how to read Tarot Cards in our upcoming Tarot Cards workshop. Spending time with your Tarot cards is very engaging and takes your mind off of your worries. These types of interesting and meditative activities can help you on the path of stress reduction and lowering your blood pressure. As someone who has a history of heart disease in my family, I take heart disease very seriously. My stress levels and blood pressure were very high – all red flags for being on the path to a heart attack or stroke. Through yoga, meditation, learning to be more in the present moment, and spending time in engaging activities such as reading, I have been able to lower my blood pressure to normal. You, too, can lower your risk. We hope to see you soon at a great yoga class, meditation, or workshop at Moonflower Yoga in Bellmore in Nassau County, Long Island, where we can help you reduce your risk of heart disease as well. Let’s lower these frightening heart-disease numbers for women!